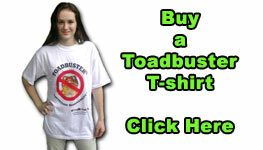 ToadBusters is a project FrogWatch initiated to attempt to minimise the damage toads are causing to our environment and biodiversity. 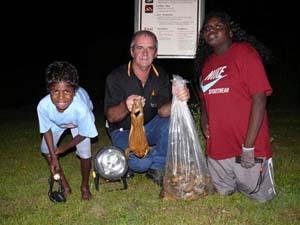 ToadBusters, Bob Goninon (man), Bhapaning (woman), Goyma (boy) who together caught this huge 20.5 centimetre, 861 gram male cane toad at Lee Point Coastal Reserve, Darwin, at 9pm Monday. 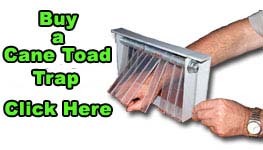 It is the biggest toad caught by FrogWatch volunteers, which has collected more than 40,000 toads over the past two years, fighting off the exotic pest species' northern invasion. The Lee Point Reserve has been described by FrogWatch coordinators, Graeme Sawyer and Ian Morris, as one of the last preserves of the iconic reptile species, the yellow spotted goanna. 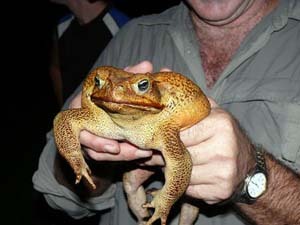 The toad was found among nearly 40 others in a 'breeding frenzy' at the edge of a coastal waterway after recent monsoon rains. 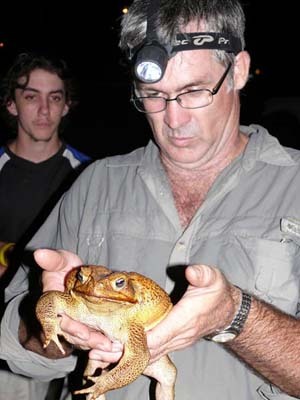 FrogWatch coordinator, Graeme Sawyer, with the monster toad at Lee Point, Darwin. Amphibians were the first backboned animals to emerge onto land. Far older than the dinosaurs they have evolved many strage survival strategies.